Like any woman expecting her first child, Emily Inglis just couldn’t help herself. She pictured exactly what those first few precious days of motherhood would be like. She bought a rocking chair where she envisioned herself and her husband, Mitch, quietly sitting, reading and singing their baby boy to sleep. It was all going to be so perfect. But then he was born early—dangerously early—and far too premature to come home, and all of Emily’s dreams were put on hold. At 26 weeks, and weighing just 2.5 pounds, their son struggled to breathe on his own, and all the milestones that come during those first few months of development—reaching for a toy, taking a bottle—weren’t happening like they should. And so, for the first seven months of his life, home was a hospital room. Now, at last, that’s about to change. His journey hasn’t been easy. 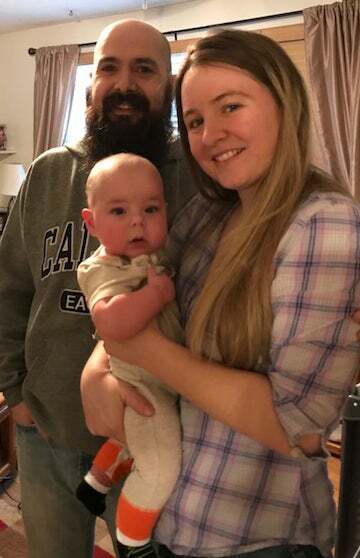 At first, Emily and Mitch couldn’t even hold Judah. 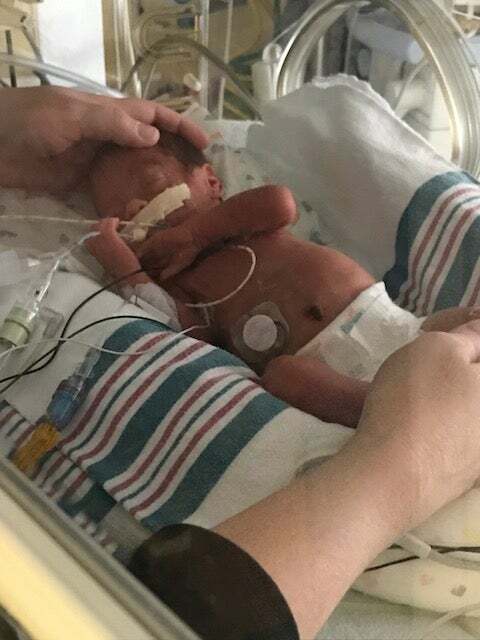 The neonatal intensive care unit (NICU) was kept dark to mimic the womb, and their contact was limited to reaching into his incubator, one hand resting lightly on his head and the other resting at his feet. “The nurses called it a hug, and that was our only interaction for the first few weeks,” says Emily. Young Judah receiving a “hug” in the NICU. 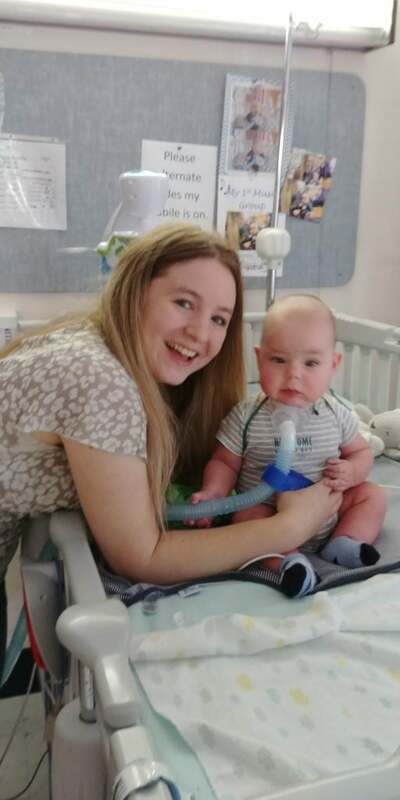 Because Judah was born so premature, his lungs didn’t have the chance to develop, and he had a hard time breathing on his own. Doctors discovered his airway was significantly weakened, so a breathing tube had to be inserted. Doctors also discovered that Judah had a condition common in preemies in which decreased blood flow to brain tissue can lead to brain damage. Because Judah was so young, it was hard for doctors to determine just how much his brain was affected. 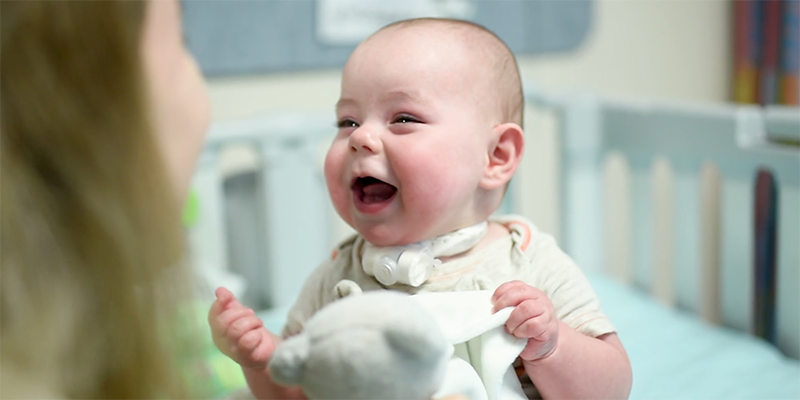 Once he was stable enough, Judah was transferred to Franciscan Children’s in Brighton, where he could receive the comprehensive medical rehabilitation and respiratory care that he needed to continue his recovery. 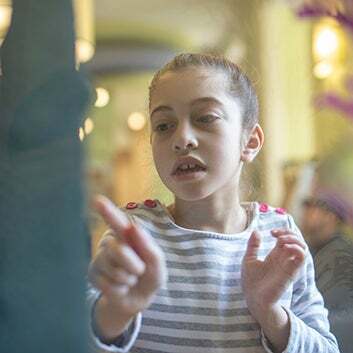 “When you walk into Franciscan Children’s, the change in culture, receptivity, and caring is palpable,” says James Mandell, chairman of the board of directors at Franciscan Children’s. As the former CEO of Boston Children’s Hospital for 13 years, Mandell, who retired in 2013, intimately understands the invaluable and distinct roles the two hospitals play for children and their families. When Judah arrived at Franciscan Children’s in July, he was still unable to grasp at toys or even follow them with his eyes. He couldn’t sit up or swallow food. Today, only a few months later, his progress is monumental. Now, at seven months old, Judah reaches for toys, following the ones that move with his eyes. He can sit up on his own and roll over. And even though he has a trach, which prevents him from making sounds, Judah continues to benefit from this alternative airway. The progress didn’t come easily; it was the result of careful coordination and Franciscan’s unique multidisciplinary approach, which helped Judah play, eat, and breathe as any baby would. A physical therapist patiently helped Judah learn to sit up, roll over, and grasp at toys. An occupational therapist helped him work on playtime and his interactions with others. 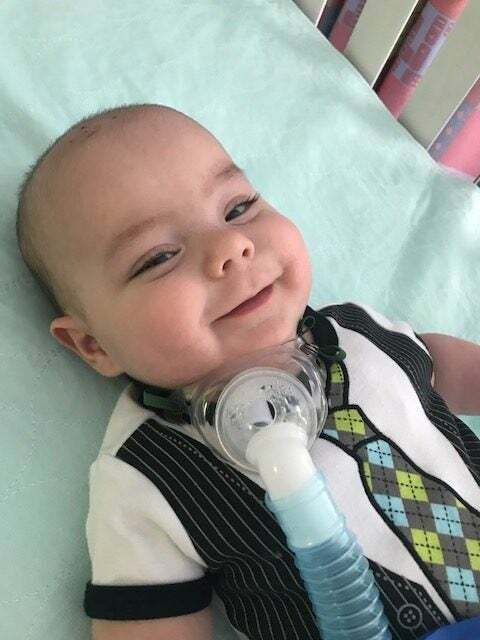 His doctors and nurses are helping him breathe without a vent while weaning him from his feeding tube, also known as a g-tube. 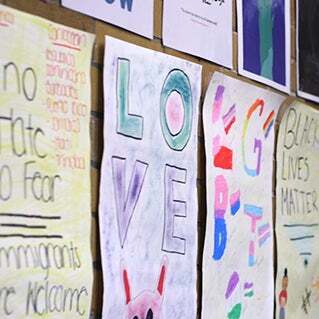 The key to this final breakthrough will be Jenna DelSordo, a speech-language pathologist at Franciscan Children’s. Jenna has been working with Judah to get him comfortable putting things in his mouth, a step toward eating by mouth and removing the g-tube. 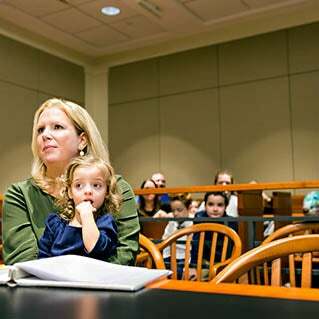 With her help, Judah was able to take a bottle at six months, and he recently began accepting pureed food, just like a typical seven-month-old. “Once he started accepting the bottle in his mouth without gagging or grimacing or vomiting, that was huge,” says DelSordo. As soon as Judah takes in enough nutrition by mouth, the g-tube will be the next to go. “One day he’ll be eating Cheerios off his high chair,” his mother says with a smile. Therapy will continue when Judah goes home to New Hampshire, and Emily and Mitch can’t wait to spend time at home as a family. Despite the distance, they haven’t left Judah alone for a single day that he’s been a patient. Emily works night shifts as a nurse in geriatrics, arriving at Franciscan Children’s every morning at 9 a.m. and staying until 2 p.m. so she can get a little sleep before her next shift starts. When Emily isn’t there, Mitch is. And in those brief moments when neither of them can be there, they have come to learn and love that Judah is never alone. As much as they’ve come to love him, Judah’s family of providers at Franciscan Children’s is determined to get him home for the holidays, showing Emily and Mitch how to continue his care outside the hospital. And there will be more to be thankful for as Judah keeps progressing. There will be Emily and Judah. The room will be dark, just like it was those first few days in a hospital room. But this time, there will be the warm twinkle of lights, and Emily’s voice, singing in Judah’s ear as she lulls him to sleep, finally, in her own rocking chair at home. To learn more about children like Judah and the services that Franciscan Children’s provides, please visit franciscanchildrens.org.